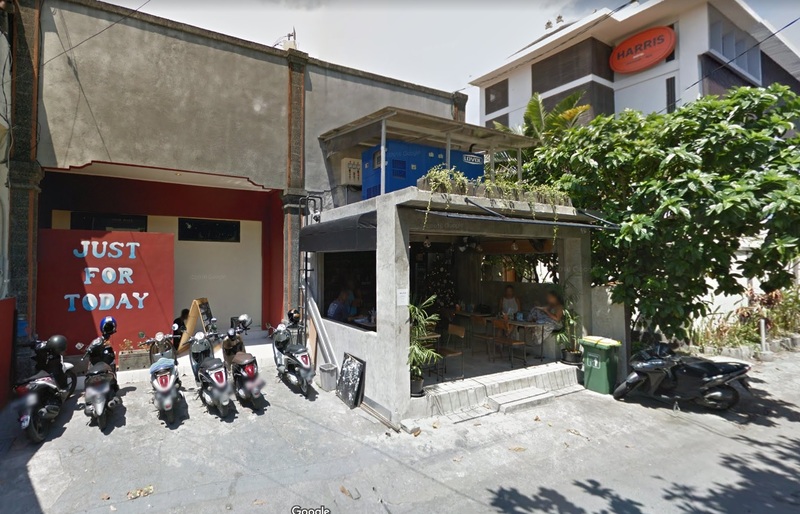 The easiest way to find the “Just for Today” building is to take a taxi to the “Harris Hotel Seminyak on Jalan Drupadi”. The Harris Hotel and Just for Today building are both located on the same side of the road. Coming out of the Harris Hotel Lobby facing the road take a right and walk down the road 75 meters. Just adjacent to Wild-1 cafe you will find the “Just for Today” building. If you see the photos below you can see the entrance in relation to Harris hotel and a map of how to walk there from Harris Hotel. If you scroll down you will also find an interactive Google Map that is pinned to the “Just for Today” building. You can order a coffee at Wild-1 cafe and they will bring it into you at the meeting. You can also find Wild-1 on Google Maps. Its location is incorrectly listed by about 50 meters, however, and is actually closer to Harris Hotel then the map location indicates. This building is located on Jalan Drupadi. Drupadi may be entered at the south end via Camplung Tanduk (aka Dyana Pura). At the corner intersection of Drupadi and Camplung Tanduk is Courtyard Hotel by Marriott. From this intersection, go North on Drupadi about 300 meters and the road will curve to the right. After the curve about 100 meters on your left is the Just for Today Building. If approaching Drupadi from the North-end, you will enter from Jalan Kayu Aya (aka Jalan Oberoi, Jalan Laksmana, or “Eat Street”). From Jalan Kayu Aya, go south on Drupadi for about 800 meters until the road turns to the right. 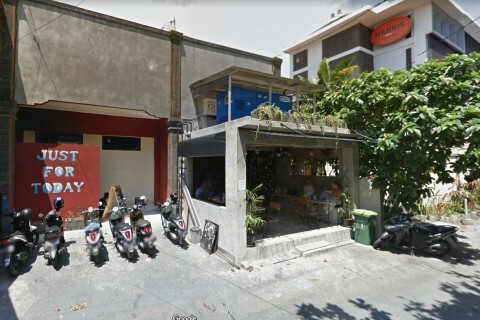 After the turn, go another 400 meters just past the Harris Hotel Seminyak. The Just for Today building is about 75 meters after the Harris Hotel Lobby, on the same side of the road.